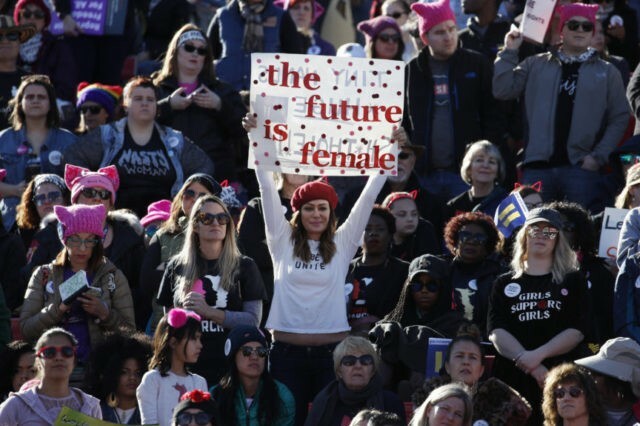 Arts and crafts events are being hosted at universities across the country in preparation for 2019 Women’s March, giving students the opportunity to get together and create signage for the upcoming anti-Trump march. As first reported by Campus Reform, students across the country are encouraged to stop by events being hosted on their campuses to make a sign for the purpose of participating in the 2019 Women’s March. The events will include arts and crafts, local artists, and one school will even provide a pre-made feminist music playlist to aid students’ inspiration. “Are you interested in attending the Philadelphia Women’s March on Saturday, January 20?” asks University of Philadelphia Riepe College House on its website, adding that students can meet up on Friday to make signs for the march. Georgetown University’s Black Graduate Student Alliance will also be hosting an event on Friday to make posters for the Women’s March, in preparation for the primary event happening near campus on Saturday. There will be several marches occurring in different cities across the nation, but the main march will be held in Washington, D.C. The University of California, Berkeley plans on hosting a “Women’s March Poster Workshop,” that will involve a partnership between the school’s art lab and a local artist.